iCoDaCo (International Contemporary Dance Collective) is a biennial artist led project initiated by ilDance. In each cycle of iCoDaCo, a new production is created by a collective of international artists who gather to venture in a multilayered collaboration. 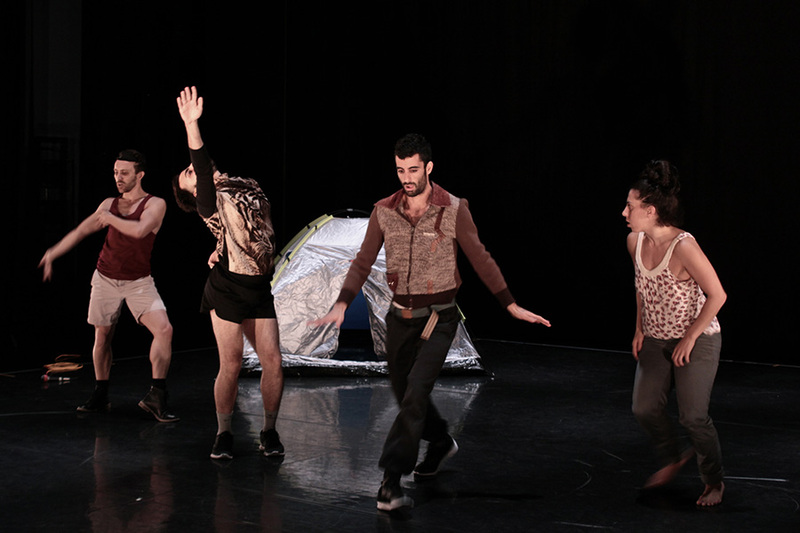 iCoDaCo (International Contemporary Dance collective) is one of ilDance’s ongoing projects. 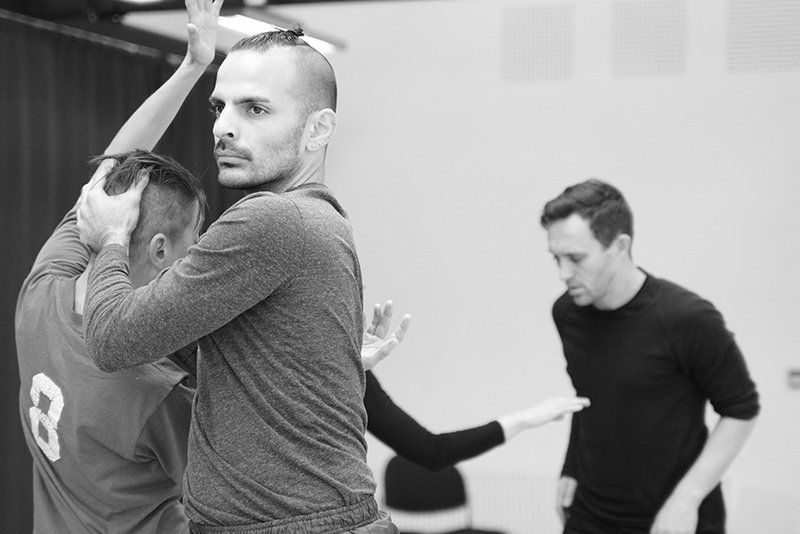 It brings together an eclectic group of choreographer-makers from different countries and diverse practices, to form a temporary artistic community and to co-create a new piece. The first iCoDaCo took place in 2012 and the project has been organically moulding and reforming ever since. The research and creation processes manifest in a process which is designed by a unique production model that we have developed throughout the years. iCoDaCo was initiated to facilitate a rare opportunity for artists from different countries to genuinely collaborate, using their art form as a mean and medium. ilDance ignited iCoDaCo in order to demonstrate a microcosms where individuals find common ground and are willing to jointly create and evolve. We at ilDance felt the need to offer a genuine opportunity for the manifestation of co-creation, collaboration and support of people who come from diverse backgrounds and are willing to take the time and make the effort to find meeting points with those who are different to them. Through an organic process, ilDance’s artistic directors connect a group of artists who perpetuate an intriguing balance of similarities and differences to one another. The gathering process is based mainly on one to one, personal and artistic curiosities. We intentionally seek artists who manifest a powerful artistic voice whilst also being curious about venturing into a process that could potentially challenge their methodologies and set of beliefs. One of the elements which makes iCoDaCo unique, is the way in which the collective comes together. Our research taught us that the majority of artistic collectives are formed around one of the following three focal points: longterm friendships and pre-existing work relations, strategic conducts of institutions and/or governments who occasionally preconceive structures and operations to which they lastly invite the artists to partake in, or individuals who already share a common physical space. iCoDaCo is realised around a different notion of gathering. It is formed by the artists’ mutual thrill of being equally leading as well as led in the process. iCoDaCo is purely artist driven. The members of the collective in each cycle have the upper hand in all aspects of the project such as content, form, means, reasoning and exposure. Therefore, each cycle of the project contracts a unique phenomena. The collaborative and entirely equal process in iCoDaCo strongly resonate with ilDance’s core values. The subject matter and the form of the processes that are led by iCoDaCo are profoundly influenced by the cultural and social differences between the artists in the collective as well as the communities and the societies that they are associated with. Each cycle, the development and creation processes happen in residencies in all the represented countries of that particular cycle. During these residencies, which are mounted in close collaboration with local organizations, the artists in iCoDaCo interact with the local dance community and the general public in a generous, welcoming, and curious manner. The involvement of the local community is a result of our aspiration to blur the borders between the guest artists and the local community. This multilayered interaction informs and guides the creation process of iCoDaCo. Many of the influences, experiences, meetings and exchanges that occur throughout the international process, are eventually infused into the final result of this process. The outcome is also profoundly informed by the nature of communication amongst the artists in the collective as well as the emotional and intellectual components and experiences that they have each acquired in their individual artistic and private journeys prior to their iCoDaCo adventure. iCoDaCo artists perform the final version of the work in the hosting communities as well as other geographical locations in the countries that are represented in the collective. Due to the unique nature of iCoDaCo and the immense importance of the individual voice of each of the participating artists, the project’s silhouette slightly varies with each edition. 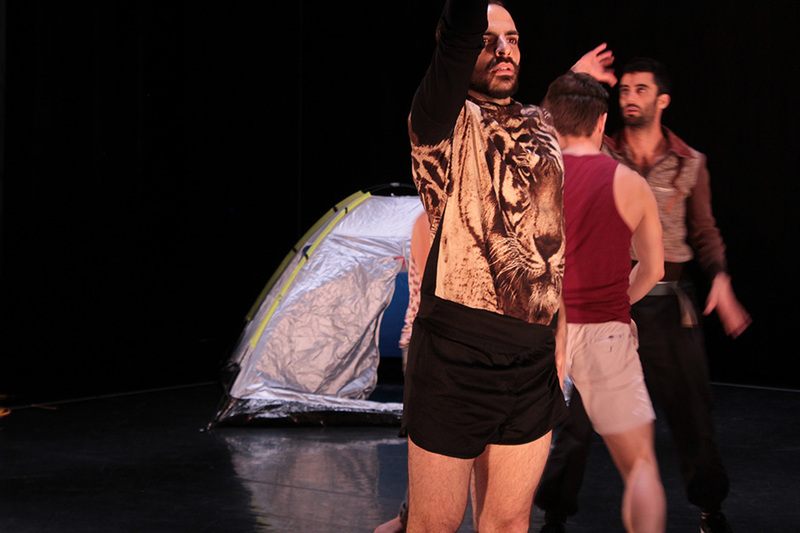 Previous cycles of iCoDaCo have included artists: Idan Sharabi (Israel), Sharon Vazanna, (Israel), Gwyn Emberton (Wales) Ido Batash (Israel) Johanna Nuutinen (Finland), Eddie Ladd (Wales), Sara Lloyd (Wales) and Oscar Collins (Sweden) working alongside ilDance’s directors and choreographers Israel Aloni & Lee Brummer. In its next cycle (2018 - 2020) iCoDaCo is a thrilling meeting of artists from five different countries. Mui Cheuk Yin (Hong Kong) Joseph Lee (Hong Kong) Imre Vass (Hungary) Weronika Pelczynska (Poland) Lee Brummer (Sweden) & Eddie Ladd (Wales) The project’s upcoming cycle will be operated in close collaboration and partnerships with SIN Culture Centre (Hungary) Krakow Choreographic Centre (Poland) & Gwyn Emberton Dance (Wales). Additionally we are working with important collaborators in all the mentioned countries for the particular cycle of the project.